Don’t deny the change. Direct it wisely. THEY ARE, in their very different ways, monuments of American civilization. The first is a building: a grand, beautiful Beaux-Arts structure of marble and stone occupying two blocks’ worth of Fifth Avenue in midtown Manhattan. The second is a delicate concoction of metal, plastic, and glass, just four and a half inches long, barely a third of an inch thick, and weighing five ounces. The first is the Stephen A. Schwarzman Building, the main branch of the New York Public Library (NYPL). The second is an iPhone. Yet despite their obvious differences, for many people today they serve the same purpose: to read books. And in a development that even just thirty years ago would have seemed like the most absurd science fiction, there are now far more books available, far more quickly, on the iPhone than in the New York Public Library. It has been clear for some time now that this development would pose one of the greatest challenges that modern libraries—from institutions like the NYPL on down—have ever encountered. Put bluntly, one of their core functions now faces the prospect of obsolescence. What role will libraries have when patrons no longer need to go to them to consult or to borrow books? This question has already spurred massive commentary and discussion. But in the past year, as large-scale controversies have developed around several libraries, it has become pressing and unavoidable. The most heated of these controversies involves the NYPL itself, which has long served as a model for other major American libraries. Under an ambitious Central Library Plan drawn up under its previous president, Paul LeClerc, the institution is preparing to banish millions of books from the venerable stacks of the main branch to off-site storage in central New Jersey, from where it will take them at least twenty-four hours to arrive in the grand Rose Main Reading Room. The plan also involves the sale of decrepit nearby facilities (notably the mid-Manhattan branch lending library, one of over eighty branch libraries in the NYPL system) and the consolidation of their functions in a renovated Schwarzman Building. The plan did not come in any direct sense as a response to digitization, but clearly digitization has made the removal of physical books easier for the library to contemplate. The protests against the plan, which include a letter signed by several hundred prominent writers and academics, have gone so far as to allege that the NYPL’s new president, Anthony Marx, formerly the head of Amherst College, sees the libraries of the future less as repositories for books and learning than as glorified Internet cafés. This last charge is clearly incorrect. Marx arrived at the NYPL only a year ago, at a moment when the Central Library Plan had already advanced too far to be canceled. He is also, like virtually every other library director in the United States, operating under severe financial constraints. Even the Harvard University library system has seen its budget shrink drastically over the past few years, and the reduction of its staff by over a third (making it the focal point of another library controversy). At the NYPL, the acquisitions budget has shrunk 26 percent over just the last four years. Simply by consolidating several different facilities in a single building, Marx claims the new plan will save as much as $16 million a year in operating costs, or the equivalent of adding 50 percent to the library system’s endowment. The high-profile redesign of the Schwarzman Building—by Norman Foster—will attract additional funding. And Marx is anything but a barbarian geek at the gates. To the contrary, he clearly wants to put as many paper books in as many hands as possible. Among his other initiatives, he is developing a program under which all New York City public school students will be able to order books from the NYPL system, and have them delivered directly to their schools within twenty-four hours. The critics of the Central Library Plan do have a point when they suggest that it will make the NYPL a more difficult place in which to do serious research. Even if the development of new storage spaces underneath adjacent Bryant Park minimizes the number of books ultimately shipped to New Jersey, there will still be many moments when a reader, paging through a book, excitedly learns of another one crucial to her topic, only to find that it is off-site. (The same thing occurs in many university libraries, which are making increasing use of off-site storage.) Placing a lending library in a large, attractive open space within the main branch will probably at least double the already considerable foot traffic in the building, adding to its levels of noise, dirt, and disruption, although the library is also creating new spaces for serious scholars and writers. Soon most if not all libraries will be facing quandaries similar to that of the NYPL, owing to the devices on which more and more people are doing more and more of their reading. Already at least a fifth of all book sales come from e-books, and the numbers are rising fast. Total e-book sales in January 2012 came in close to twice those of a year previously, and were more than ten times the figure for January 2009. The Pew Internet and American Life Project reports that 21 percent of all Americans have read an e-book in the past year, with the proportion predictably higher among the young. Nearly all of the most popular English-language titles are downloadable, including millions of free books in the public domain, mostly digitized by Google Books. Amazon and Barnes & Noble sell hundreds of thousands of copyrighted titles for a price similar to or lower than that of the equivalent paperback. When the Harry Potter novels finally appeared in electronic versions this spring, they racked up $1.5 million in sales in just three days. LET ME POSE a question that will itself strike some readers as a sign of severe cultural decline: why should most libraries still own physical copies of out-of-copyright books—that is to say, for the most part, books printed before 1923? Yes, millions of Americans, mostly poor, still lack Internet access. (According to the U.S. Census, in 2009 somewhat over thirty percent of households did not have a home Internet connection.) Millions of others, mostly older, do not know how to download books, and millions more feel uncomfortable reading on a screen, as opposed to paper. But all these obstacles will largely disappear within twenty or thirty years. Already 90 percent of Americans live in households with at least one cell phone, and within a few years we can expect all cell phones to have internet access. The knowledge of how to download and to manipulate basic files has already become a necessity for most working Americans. As for “screen reading,” not only does comfort with the practice depend heavily on age, but the quality of screens will continue to improve. Remember that the first commercial e-readers came out in the United States less than six years ago, and the devices’ technical quality, as represented by the newest Kindles, Nooks, and iPads, has already improved radically in that short space of time, while prices have fallen dramatically. It is not at all unreasonable to suppose that in another couple of decades cheap and ubiquitous reading devices will have screens that look, to all intents and purposes, identical to paper. Already this May a New York Times tech columnist, reviewing the new generation of devices, quipped that “in some ways, the only reason to stick with dead tree books these days is nostalgia”—today’s hyperbole, tomorrow’s conventional wisdom. Specialized scholars will always have reasons to consult the original paper copies of books. Marginalia, watermarks, paper quality, binding, and many other features of the physical book that digitization cannot always capture offer valuable clues about how the books were produced, circulated, and read, how they created meaning. But this sort of research mostly takes place in a small handful of leading research libraries, and it involves a small number of readers. Far more readers, of course, appreciate physical books for their aesthetic qualities: the feel of the paper, the crisp look of print on the page, the elegant binding, the pleasant heft of the volume in the hand, the sense of history embedded in a venerable edition that has gone through many owners. But this sort of pleasure, real and meaningful as it is, is harder to justify financially, as resources grow increasingly scarce. Some critics warn that digital media are more fragile than paper, and fear that as digital formats evolve, older files will become unreadable. These fears, too, are misplaced. Yes, digital media are fragile, but they are also far easier to duplicate than paper. The history of the Computer Age has been the history of exponentially more efficient digital storage capacity. In the mid-1950s, an early IBM hard drive stored 3.75 megabytes of data—roughly the amount now required to digitize a short book—in a cabinet that measured five feet by five feet eight inches by two feet, and weighed hundreds of pounds. Today the most advanced, commercially-available “secure digital” cards can store 500,000 times as much data in a package that measures 32 by 24 by 2.1 millimeters. Which is to say, a digital copy of the entire book collection of the Library of Congress—some thirty-three million volumes—can easily fit into a small shoebox, making it simple to produce thousands of backup digital copies of every book ever printed. As for format, the very existence of vast quantities of useful information encoded in particular formats makes backward compatibility a necessity, and guards against the danger of obsolescence. Internet browsers today can still read nearly every Web page ever created. Current versions of Microsoft Word can read Word files from the 1980s. Nearly all PDFs ever created remain readable in Adobe Acrobat and scores of competing programs. Given these facts, it will inevitably become harder and harder for most libraries to justify keeping physical copies of digitized public domain books on their shelves. The books take up space. They must be kept at a proper temperature. The process of checking them out, checking them in, and re-shelving them involves human labor. All of these things incur significant expenses, at a time when most library budgets are shrinking. At present, a large constituency still prefers paper books to e-books. 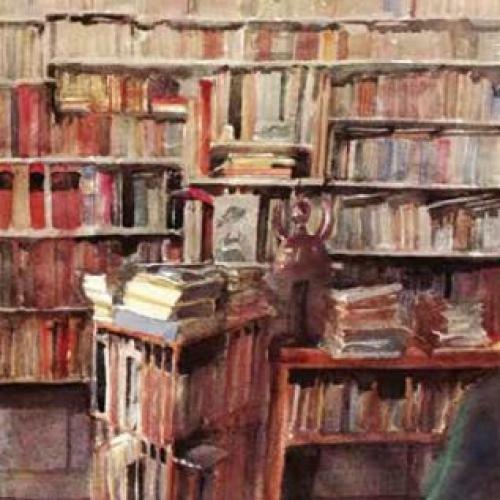 When this constituency vanishes, as it most likely will within two or three decades, the arguments for eliminating the physical objects will come to seem far more pressing, particularly for smaller libraries whose patrons make relatively little use of older books. Less than twenty years ago Nicholson Baker could lament, in an eloquent New Yorker article, the disappearance of physical card catalogues from libraries. (Among other things, he criticized electronic catalogues for their “neolithic screen displays and excruciatingly slow retrieval times,” as if the technology would never improve.) But how many readers are still troubled, in any serious way, by the disappearance of those old catalogues? (Recently the Yale University library unceremoniously junked its old card catalogue drawers, filling a large dumpster with them.) How many will be troubled, twenty years hence, by the disappearance of the physical books? To be sure, the free public-domain books now accessible on Google (and on other sites such as the Internet Archive) make up only a minority of holdings at all but a relatively few specialized research libraries. What of the other, more recent, under-copyright titles? Here the future is less clear. Electronic copies of nearly all of them (at least the ones in English and several other major languages) already exist, thanks mostly to Google Books, which altogether has scanned roughly twenty million books in several of the world’s leading research libraries. In most cases, however, readers do not have free access to “library copies” of these e-books the way they have free access to physical library books. Yes, tens of thousands of public libraries in the United States now make some e-books (generally, a few thousand at most) available to borrowers. As with a physical book, once borrowed an e-book becomes unavailable to other patrons. At my own local public library, the copy remains on the borrower’s reading device for two weeks and then deletes itself. But not all major publishers allow libraries to “lend” their e-books. HarperCollins recently announced that it would only allow any individual e-book to “circulate” twenty-six times, after which the library will need to buy another copy. Even more important, libraries only have access to under-copyright e-books that publishers have already made commercially available on platforms like Kindle—not to the millions of others that Google has scanned, but can be viewed only in “preview” or “snippet” form (or not at all) through Google Books. Google spent years negotiating a settlement with the Authors Guild and other organizations, with a view to making these other e-books commercially available as well. But in March 2011, Federal Judge Denny Chin rejected the settlement, and the status of these e-books has remained in limbo ever since. And the situation is even more confused, and fragmented, when it comes to foreign books. While some countries, such as France, have begun ambitious digitization efforts of their own, others lag far behind. Copyright law and the status of e-publishing vary from country to country, as does the comprehensiveness of Google’s digitization. Since 2010, a consortium of libraries, foundations, and other organizations has begun to create a so-called Digital Public Library of America (DPLA), that will, in the words of its mission statement, “make the cultural and scientific heritage of humanity available, free of charge, to all.” The DPLA aims to bring together work already digitized by a range of electronic initiatives, including Google Books. But for the moment it has concentrated its efforts largely on the same public domain material that Google Books has already made very largely available. The DPLA will certainly do a better job than Google in its actual handling of the material. As many critics have pointed out, Google often did a shockingly sloppy job of cataloguing and organizing its e-book files. Books frequently have the wrong publication date. (For instance, 325 books that mention Woody Allen apparently date from before his birth.) Duplicate copies abound, while finding particular editions of a book—or all volumes of a multi-volume set—can lead to endless frustration. Google’s book search functions remain rudimentary. The DPLA initiative, led by respected scholars and librarians, above all Harvard’s Robert Darnton, a pioneer in digital scholarship, will in due course address most of these shortcomings. But the DPLA has largely put off the question of how to incorporate under-copyright books into its collection. For the time being, then, millions of under-copyright and foreign-language books still remain, for all intents and purposes, available only in paper form. Unless you own them, you will need to go to a physical library to read them. True, some organizations have started to provide digital access to copyrighted books through research libraries, on a subscription basis. The American Council of Learned Societies has compiled an online collection of more than three thousand major pieces of scholarship in the humanities. JSTOR, a not-for-profit organization originally funded by the Mellon Foundation, is adding university press books to the millions of journal articles it already provides to some seven thousand subscribing institutions. But these remain small-scale initiatives. Even so, the way patrons use libraries is already undergoing serious change. On one end of the scale, scholars already make far less use of physical library collections than they did in the past. My own experience in this regard is not at all uncommon. I am fortunate to work at Princeton, a university that has one of the great research libraries in the United States. But I now find more sources online than I do in the stacks, and I visit the library far less often than I did when I was a graduate student at the university twenty-five years ago. At the other end of the scale, anyone who has visited a local public library recently knows that more and more of its patrons are coming to use its computers, or just to sit and read in peace, and fewer of them are borrowing books. FOR HOW LONG will providing access to physical books remain a central mission for libraries? Even as reading on screens becomes more and more common, the number of books easily available in electronic form seems likely to increase, and a consensus for allowing some form of free access to “library copies” of digital files seems likely to emerge. True, the legal wrangling over Google Books has shown worrisome signs of stretching out, Bleak House– fashion, toward the next century. But with the digital files of copyrighted books already in existence, and with money to be made from their distribution, it still seems probable that within twenty years or so, it will be possible to download virtually any book ever printed, anywhere, to any device. The chances will be better for readers with access to some sort of subscription service—most often through universities where they study, or have faculty positions. But even for those without this sort of privileged access, some form of free access may very well emerge. And then, what future for libraries? One nightmare scenario is all too easy to imagine. The year is 2033, and the Third Great Recession has just struck. Although voters have finally turned the Tea Party out of office in Washington, the financial situation remains dire across the country. New York City in particular faces skyrocketing deficits as a result of the most recent Wall Street wipeout, and the bankruptcy of Goldman Chase. In City Hall, a newly elected mayor casts a covetous glance at the grand main branch of the New York Public Library. Think how much money the city could save by selling it, along with the thirty remaining branch libraries scattered throughout the five boroughs. After strenuous negotiations, the mayor announces a deal with Googlezon, under which the company will make fifty electronic copies of any book in its database available at any one time to city residents, for two-week free rentals on the reading device of their choice. Two years later, where the main branch library once stood, the mayor proudly cuts the ribbon at the opening of the Bryant Park Mall. As for the services once performed by actual librarians, these have now been replaced by a cloud software package, with customer service representatives standing by online in case of technical difficulties (most of them physically located in suburban Manila). In truth, such a turn of events would hardly rank with the burning of the Great Library of Alexandria in the annals of cultural vandalism. If it came to pass, readers would still enjoy, between the new electronic “lending library” and the public domain titles accessible through the Digital Public Library of America, a larger and more complete library at their fingertips (literally!) than exists today in any single locality. It would not be the barbaric destruction of knowledge. It would be the democratization of knowledge on a scale unimaginable in the pre-Internet age. The benefits are not to be discounted. YET THE SACRIFICES entailed—the loss of physical libraries, and of librarians—would still be massive, and culturally tragic. To start with, libraries are, obviously, not just places to read books. They are communities. The recent debates about the NYPL have highlighted the importance of its glorious main reading room to famous New York writers—for instance, Alfred Kazin, who composed his masterpiece On Native Grounds there. But as Kazin himself often remarked, just as important as the library’s books, and its inspiring grand spaces, were the other readers who gathered there to use it, such as his friend, the historian Richard Hofstadter, who frequently occupied the next seat over. As Zadie Smith put it recently, “Well-run libraries are filled with people because what a good library offers cannot be easily found elsewhere: an indoor public space in which you do not have to buy anything in order to stay.” At the NYPL, readers clearly feel the need for such community more than ever today. According to Anthony Marx, while the number of books requested in the main reading room has dropped steadily for several years, the number of patrons sitting there has steadily risen. Libraries are also sources of crucial expertise. Librarians do not just maintain physical collections of books. Among other things, they guide readers, maintain catalogues, develop access portals for electronic sources, organize special programs and exhibitions, oversee special collections, and make acquisition decisions. The fact that more and more acquisition decisions now involve a question of which databases to subscribe to, rather than which physical books and journals to buy, does not make these functions any less important. To the contrary: the digital landscape is wild and wooly, and it is crucial to have well-trained, well-informed librarians on hand to figure out which content to spend scarce subscription dollars on, and how to guide readers through it. Special collections in foreign languages, where no digital counterpart yet exists to the physical books, demand even more expertise. As the critics of the NYPL have noted, the unveiling of the Central Library Plan came, with exquisitely bad timing, soon after the closure of the library’s specialized Slavic and Middle Eastern and Asian Reading Rooms, and the loss of specialized staff positions in these areas. Communications technology will increasingly allow a single expert in a subject such as Russian literature to advise several institutions at once—but it is one thing to share expertise and another to eliminate it entirely. And moves toward elimination are taking place at precisely the moment when the sheer glut of information available online has made the expertise more necessary than ever. Finally, even when no foreign language or particular expertise is involved, special collections are still to be treasured. Anyone interested in reading seriously about American theater or American dance, about Judaism and the Jews, about people of African descent, about the poet Shelley, even about the history of tobacco, will find extraordinarily rich veins of material in the collections dedicated to these subjects at the NYPL. The experience of working in such concentrated storehouses of knowledge, which collectors and librarians brought together with intelligence, energy, and love, cannot be matched by online browsing, however complete the process of digitization, and however good the guides to online sources. These collections are indeed far more than the sum of their parts. IF LIBRARIES ARE to survive, and thereby preserve their expertise, their communal functions, their specialized collections, and the access they provide to physical books, they must find new roles to play. The critics of the NYPL Central Library Plan claim that it has put the library’s standing as a premier research institution in jeopardy, but they finally fail to acknowledge that the very nature of premier research institutions—and all other libraries—is changing in radical and inexorable ways. Clinging to an outdated vision of libraries is in fact the best recipe for making them look hopelessly obsolescent to the men and women who control their budgets, thereby ensuring that the nightmare scenario that I have laid out actually comes to pass. In imagining new roles, it is important to think about the way that the digital revolution has already changed the world of learning as a whole—above all, in its democratizing effects. To be sure, the world of learning has always had its democratic institutions, with the NYPL itself among the greatest. Anyone can walk in off the street into the Schwarzman Building, get a reader’s card, and have immediate access to one of the greatest troves of learning ever assembled. And yet, in practice, most people have not had the resources, physical or intellectual, to make use of such a wonderful resource. Doing so required time that working adults could not easily spare. And in most cases it also required a high level of education. For every autodidact who found in its collections the keys to a new universe, many other wellintentioned readers, less motivated or less skilled, ended up turning away in confusion. Today interested readers, or aspiring amateur scholars, have far more help available, most of it at their Internet-enabled fingertips. There are full undergraduate courses online, complete with lectures, free from the likes of Harvard and MIT. There are excellent and accessible lecture courses geared explicitly to the general public from sources such as The Teaching Company, for a low cost or for free from a public library. There are half a dozen allegedly “educational” television networks, even if ones such as The History Channel have increasingly shifted to routine entertainment programming. And of course there are an infinity of websites offering introductions to every subject under the sun. Caveat lector, yes—but what an embarrassment of riches. And thanks to institutional websites and e-mail, it is easier than ever to contact certified specialists in an academic subject and ask them for advice. After an appearance in a popular History Channel documentary, I receive queries about my work several times a month during the school year, most often from high school students (and I work on the relatively arcane subject of early modern Europe, not a more popular subject like the Civil War). Meanwhile, major publishers increasingly issue strict orders to their authors to engage in multiple forms of electronic public outreach. Create a Web page. Start a blog. Get a Facebook page. Open a Twitter feed. Make yourself available to bloggers. It is no longer just a matter of the occasional book signing. All in all, it is easy to get the impression that the “great confinement” of serious scholarship in universities, which began with the professionalization of the academic disciplines in the nineteenth century, is coming to an end. The ivory tower is breaking down. The new forms of communication stretching across these old barriers are of course mostly electronic. But their rise has done nothing to decrease the desire for personal interaction. Just as high fidelity failed to kill concerts, and movies failed to kill live theater, and highresolution photos failed to kill museums, so the ability to audit a college course in one’s bedroom will not kill the desire to rub shoulders with other students and a professor. Somewhat paradoxically, by drawing millions more people into serious reading and learning, the digital revolution has in fact created the need for more spaces of physical interaction. AND WHAT INSTITUTIONS are better suited to serve this purpose than libraries? Universities tend to be located away from major population centers, and classroom space in them tends to be a tightly controlled and valuable commodity. By contrast, the great public libraries of America occupy some of the country’s choicest and most accessible real estate. From the days of Benjamin Franklin onward, moreover, public outreach and public instruction have been their principal purpose. Until recently, they could serve this purpose above all by providing access to books and periodicals. Now, even as books and periodicals are increasingly available elsewhere, there is more and more public demand for other forms of interaction: lectures and seminars, tied to online courses and readings; authors’ appearances; book groups; exhibitions of art works and films; study centers hosting fellows who contribute to public discussions. Public libraries already do a great many of these activities, but they need to do even more, in partnership with universities, publishers, and anyone else willing and able to help. And since the best initiatives of this sort rarely emerge from programming committees, libraries should have public spaces open to ordinary readers to organize appropriate activities on their own. While librarians were once known for telling readers to hush, now they need to invite them to speak. Some critics will worry that such a transformation would indeed conflate libraries and Internet cafés. As much as possible, of course, the transformation should not come at the expense of dedicated, quiet, comfortable spaces for reading and writing, and for the storage of physical books not freely available online. Yet this is no reason for avoiding the transformation. And before we scornfully dismiss the Internet café as the opposite of a library, let us remember that cafés themselves have had a long and glorious history as places of serious public discussion, starting in seventeenth and eighteenth-century London, Paris, and Amsterdam. They were crucial institutions of what historians call the early modern “public sphere”—right along with reading rooms, and other early forms of the public library. Indeed, many of the great early cafés provided both newspapers and books to their patrons. And while more patrons of Internet cafés probably spend their time checking Facebook than debating great literature and philosophy—well, the readers in the NYPL’s main reading room were not always reading great literature and philosophy, either. Like it or not, the great public libraries of the world simply will not remain what they were, not in an age of severe cost pressures in which a greater and greater proportion of citizens carry about the equivalent of a score of research libraries in their pockets and purses. The transformation is upon us. As Anthony Marx repeatedly remarks, “the world of libraries is changing, and we have to change with it.” Ultimately, to survive, libraries will need to become part of the new, partly digital public sphere, attentive to its needs and rhythms, as well as to those of traditional learning and scholarship. The balance will be hard to strike, things will be lost, and the lovers of traditional scholarship will continue to issue their laments. But if we do not try to strike the balance, and move libraries into the new age—well, I’ll meet you to discuss the question in a few years at the Bryant Park Mall. This article appeared in the August 2, 2012 issue of the magazine.